When I attended my first college fair as an Admission Counselor, I was shocked at some of the email addresses students used on the inquiry cards. As the night went on, more inappropriate email addresses were coming. Surely the students were giving fake email addresses, right? As I sent emails to the students I met at the college fair, I wasn’t getting error messages back like I thought I would. And then the first response came back from one of the inappropriate email addresses. He was actually interested in the university and had questions about admission. The email was well written and the student had legitimate questions. As an Admission Counselor, that first impression of the student stayed with me. Every time the student’s name was mentioned or he called, the first thing that popped in my head was his email address. I couldn’t help it; the inappropriate email made a lasting impression on me. A few months later, the student applied for admission using the same inappropriate email. Not only was the student an excellent writer, he had outstanding grades and impressive test scores. It was easy to admit him to the university, but that’s because I was at a university that didn’t have a 5% acceptance rate. How would his email address affect his decision at a college that did have a low acceptance rate? No one knows for sure, but in a place that can only accept a small percentage of students, everything can come into play, including email addresses. So, before you start communicating with colleges, think about your email. Like it or not, your email address says something about you and you want to make sure your email address is making a good impression. As an Admission Counselor and Admission Director, I saw numerous emails using the above themes. That’s right, not just one, but MANY! Your safest bet when creating an email address for college (and job) correspondence is to use your name. It is professional and won’t be seen as inappropriate or funny. When using an appropriate email address, you’ll be sure to be taken serious. Last week I traveled to Southern California to visit with family and friends. While there, I ran into some of my high school friends who now have children in high school themselves. These friends did not have the opportunity to go to college themselves, so they had a lot of questions about the college admissions process. Instead of telling the parents everything, I gave them my business card and told them that their students could call or email me with their questions. so my mom gave me your card and told me to email you. i want to go to colege what should i do. thx for your help. Do you see any problems with this email? I do. Assumed I knew what he wanted. Abbreviation/Text-type used for the word thanks. I forgot to mention that the student also did not include his name and he had a questionable email address. Some would say that the above email was very informal because the student knows me. I actually don’t know him. Others would say it was informal because the student knew nothing was at stake while emailing me. That may be true, but would it surprise you that I used to receive emails like this from students when I worked in admissions at a few different universities? Like it or not, every interaction that you have with the Admissions Office at colleges you are considering can make a lasting impression. I started working in higher education about ten years ago and I still remember some of my first in-person interactions, emails and admissions essays – the good and the bad. As the one making the decision on admissions applications, some of those impressions came into play when making a decision on an application. I know that many of us have become lazy in the age of texting. However, that is not an excuse to write informal and grammatically incorrect messages to anyone. Start today changing your writing habits. You never know who may be reading your message and the influence they may have in the future. Did you miss out on paying the deposit at the college of your choice and now the college doesn’t have a spot for you? Were you not accepted to the college(s) of your choice? Whatever the reason, there are still many colleges throughout the country that are accepting applications for Fall 2014 according to the NACAC College Openings Update. I have compiled a list of the colleges in California that are still accepting applications for your convenience. Each link will take you to the admissions website. Don’t take too long to apply because we don’t know how long spaces will be available at each college. If you have any questions while you are applying to any of the above college, contact me. What college you will call home this Fall? 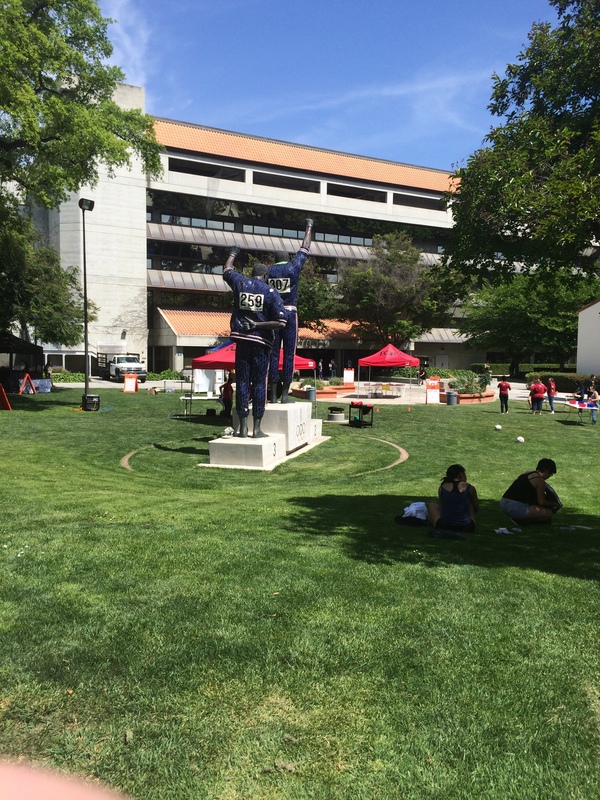 On May 2, 2014, I visited the San Jose State University (SJSU) campus in San Jose, California. SJSU was founded in 1857 as the Minn’s Normal School in San Francisco and moved to the current location in 1870. 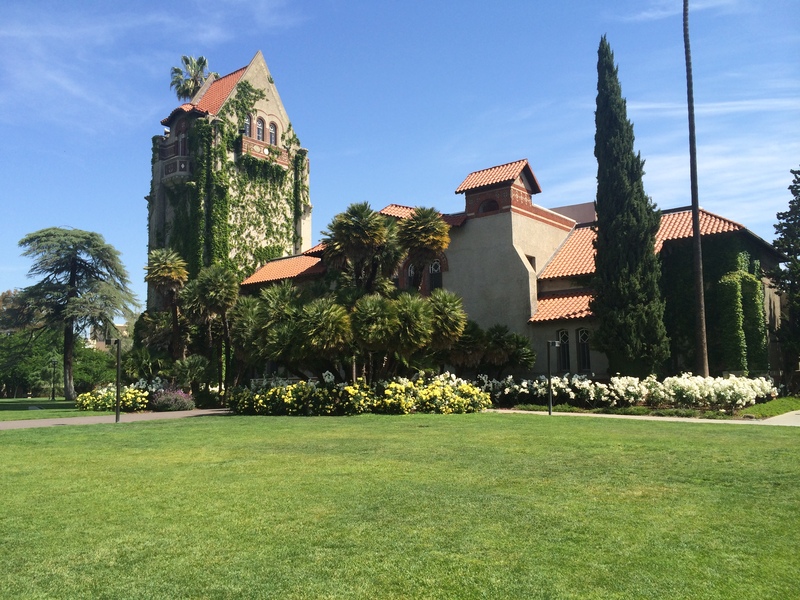 San Jose State University is the oldest public university on the West Coast. 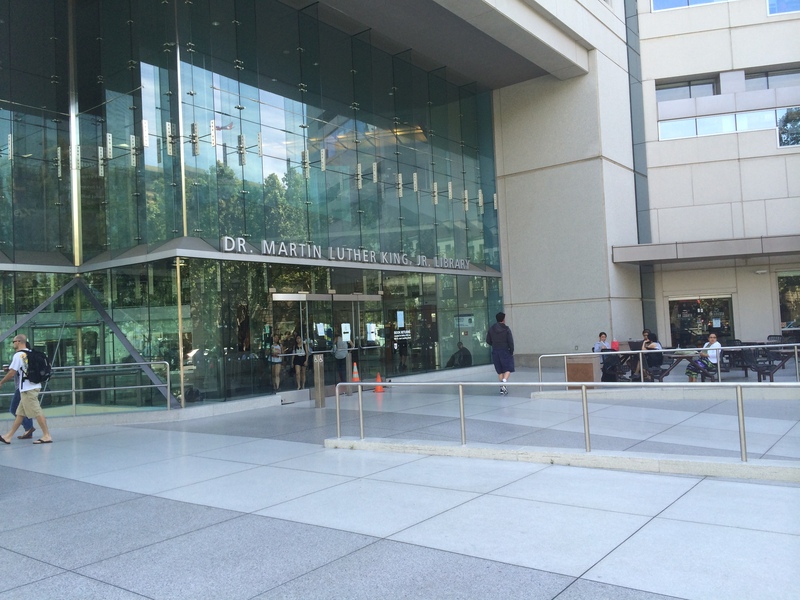 It is part of the California State University system. 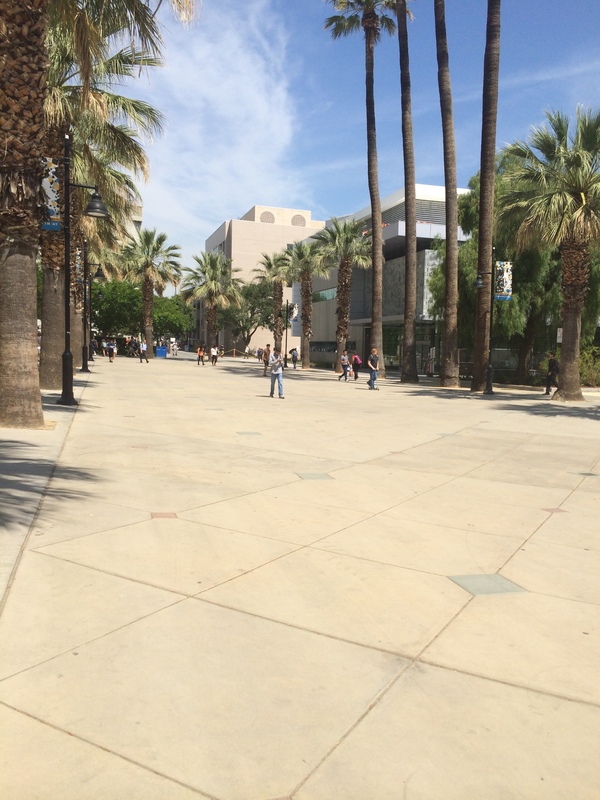 San Jose State University currently has over 30,000 students. Approximately 25,000 of the students are pursuing undergraduate degrees. The average class size for lower division courses is 35 and 26 for upper division courses. SJSU is the largest university in the Silicon Valley. The SJSU campus is located in downtown San Jose. The campus is 154 acres and covers 19 city blocks. The campus has 23 academic buildings and seven residence halls. SJSU’s one library is jointly shared with the city of San Jose. The Martin Luther King, Jr. library is the first in the country to be funded, managed and operated by a city and a major university. The campus is located less than five miles from the San Jose International Airport and approximately one hour from San Francisco. San Jose State University offers 69 bachelor’s degrees with 81 concentrations. Most students will be able to find a major that they will enjoy studying at SJSU. Most popular majors include Business, Engineering, Visual and Performing Arts, Nursing, Education, Psychology, Kinesiology, Journalism and Computer Science. Programs that are unique at San Jose State include Aviation Science, Transportation Management, Meteorology and Sustainable and Green Manufacturing Technology. Silicon Valley firms employ more graduates of SJSU than from any other university in the country. SJSU is the number one supplier of education, engineering, computer science and business graduates to Silicon Valley. SJSU is a national leader in graduating minority students. 90% of SJSU students taking the NCLEX (National Council Licensure Examination for Nursing) exam passed the test on the first attempt. Ranked among the top 200 university in the nation for total research spending (National Science Foundation). With over 30,000 students, the SJSU campus always has something going on. 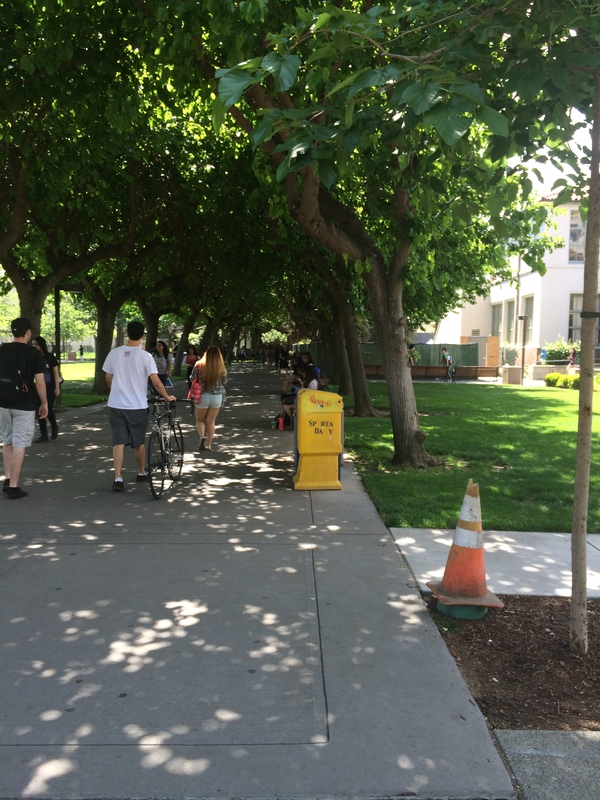 Unlike many large state universities where students go home on the weekends, the SJSU campus is usually bursting with activities. The SJSU Spartans compete in the Mountain West Conference (MWC) at the NCAA Division I Level. Spartans compete in men’s baseball, basketball, cross country, football, golf and soccer. Women Spartans compete in basketball, cross grounty, golf, gymnastics, soccer, softball, tennis, volleyball, water polo, track & field and swimming & diving. Students apply to San Jose State University using the CSUMentor, the application for all universities in the California State University system. The application fee is $55, or students can obtain an application fee waiver (available on the CSUMentor website). The application for all CSUs opens on October 1 and must be submitted by November 30. Students must complete the A-G requirements with a C- or better in high school, submit SAT or ACT test scores and meet the minimum eligibility index (combination of GPA and official SAT/ACT scores). 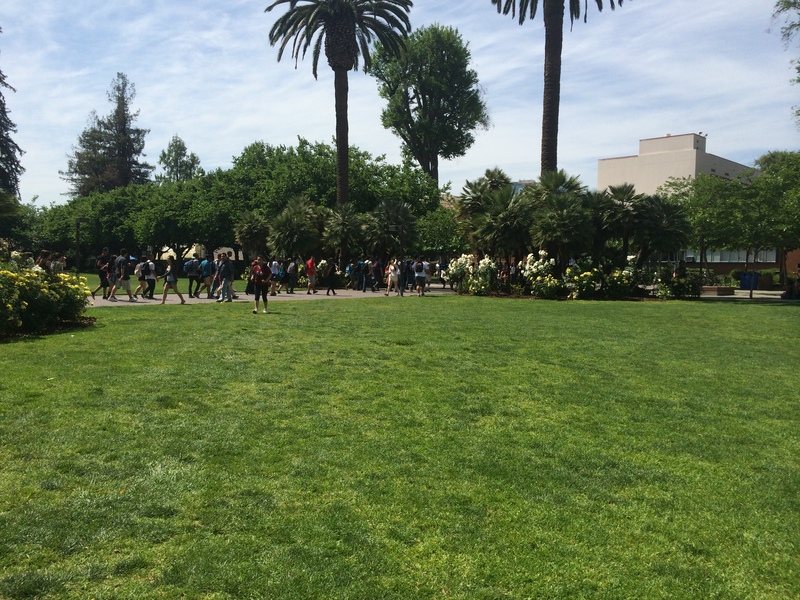 SJSU is a somewhat selective college and admitted 65% of the applicants that applied for Fall 2013. SJSU is a state university, so the cost of attendance is on the low side. Tuition for the 2014-2015 academic year is $7,484 (and an additional $372 per unit for out-of-state students). Housing is $13,350 for the academic year. SJSU students are eligible all federal and state grants and loans. In addition, SJSU offers many scholarships. As I walked around campus and explored the classrooms and buildings, it is clear that SJSU could be a good fit for both students that are shy and those that want to be very involved. Shy students can be a face in the crowd because of the number of students in classes and involved in activities. But, students that want to make a name for them can do so as well because of the active student life population. The majority of students that attend SJSU are from California, but the number of out of state students is slowly growing. Interested in SJSU? Find out more! 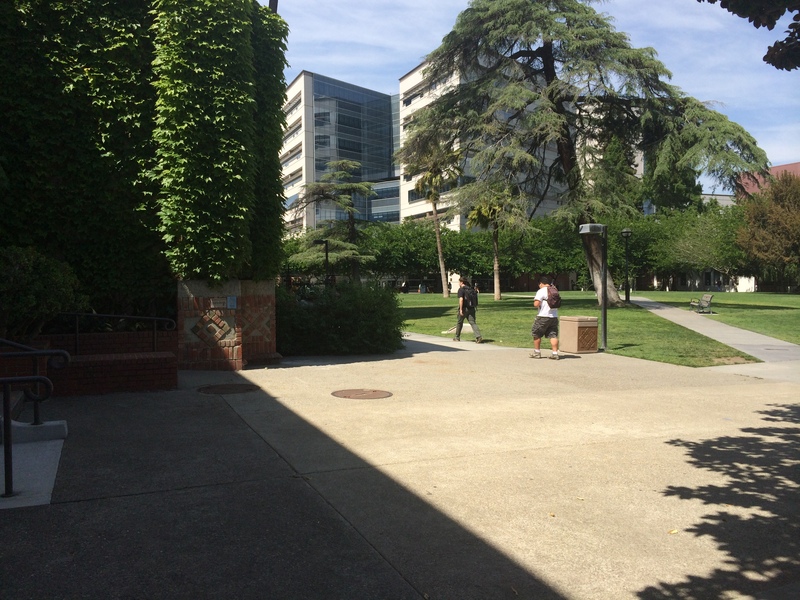 SJSU offers campus visits daily. You can also sign up to receive more information and be notified of important information.